We’ve set up a separate blog for our discussion on The Power of Language. It’s at http://www.poweroflanguage.net. We’ll keep putting announcements and links on this blog, though, whenever there’s something new to see on the other. M.M. Bennetts’s guest post is up there now. 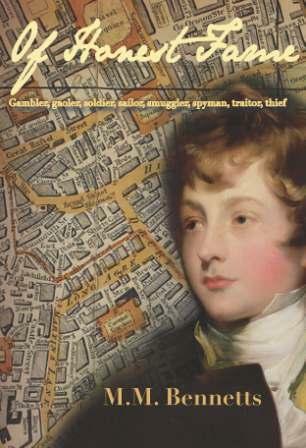 Celebrate Trafalgar Day with Diiarts at the London launch of Of Honest Fame, M.M. Bennetts’s gripping new novel set at the height of the war against Napoleon. We’ll be at Waterstones in High Holborn from 5.30 – 7.00pm on Thursday 21st October. To whet your appetite, you can read the opening online. And there’s still time – just – to enter our Last Word competition (closing date 8th October) for a signed copy of the book. You can also read M.M. Bennetts’s guest post on The Power of Language blog – www.poweroflanguage.net. We’ve been having some interesting discussions over the past few days on the power of language, and starting to draw ideas together for our forthcoming project. The idea is very much in its infancy, but in broad terms, it will be about the aspects of language that are in danger of being lost in this world of text-speak and tweets – the finer nuances of language; the poetic element; the turning of a phrase that conveys more than just a surface meaning. What is language for, other than basic communication? What can language do, beyond the merely utilitarian? What is the publisher’s role in supporting and fostering an appreciation of the richness of language? “Project” is perhaps a rather grand title for this idea. Projects tend to have project plans, milestones, outcomes, things like that. We actually want to open a discussion in the first instance, or perhaps get involved in discussions that others are having. But alongside all the discussion about text-speak and its impact on literacy, about multi-million dollar lawsuits arising from poor punctuation, even about the demise of the English language itself – alongside all these we reckon there’s still room to talk about and to celebrate the power of our language in all its vigour, variety and versatility. We’ll start with a series of guest blogs from some of our own authors, beginning in about a week’s time. for an announcement next week sometime about an exciting forthcoming project on the power of language. And yes – that’s all we’re going to tell you for now. A little suspense never hurt anybody. But do leave a comment if you’d like to. Start with this – whose use of language has stayed with you, and why? Poetry? Speeches? Lines from films?